“Now I’m Bound” is a practical, comprehensive curriculum currently in development for OnceCaptive. It is a learning experience for the entire church congregation spanning seven weeks. The integrated approach includes sermons, videos, and original music. Probe Ministries teamed up with Jennie Lee Riddle, a Dove Award winning song writer, best known for authoring “Revelation Song.” Under the direction of Probe Ministries, Jennie selected and co-wrote twelve targeted songs with a team of Nashville writers. Together Jennie Lee and Michael Farren (from Pocket Full of Rocks) co-produced the album “Now I’m Bound” that additionally features four artists from New Nation Music. Bohlin added that Probe Ministries has developed a 10-year strategic plan for OnceCaptive that addresses the issues the Church is facing in order to help empower believers to become life-giving representatives of Christ Jesus to our hurting world. Dr. Ray Bohlin is available for radio and TV interviews and will also be available for interviews at the National Religious Broadcasters Convention (February 18-20, 2012) at The Hope Center booth (#726). For more information about Probe Ministries or to schedule an interview with Dr. Ray Bohlin, please contact: Renea McKenzie, 972-941-4568 or rmckenzie@probe.org. 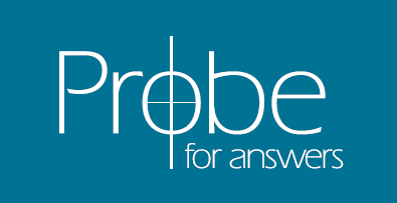 Probe Ministries was founded in 1973. Today, Probe’s staff of theologians, scientists, philosophers, educators, and business professionals are dedicated to fulfilling the Great Commission in the United States and around the world. Probe’s vision is to equip Evangelicals and help free culturally captive Christians, building them into confident ambassadors for Christ. www.probe.org. Contact: Renea McKenzie, 972-941-4568 or rmckenzie@probe.org. Leaky Buckets"Can You Recommend Apologetics Resources on Different Levels?"